I think the important distinction is the lack of lumpy distribution in Star Wars. You're not buying 2x the Core or 2x the expansion for just 4-5 cards, it's to get the second copy of everything. Lumpy distribution--particularly in the old chapter packs--was annoying and hard to justify. I think they've done a pretty decent job with Star Wars. I think that the people that are annoyed with the structure of card distribution are justified, if you take a "big-picture" perspective. We live in a different world now, especially in terms of media consumption (which, I'll place in this category, as it's at least akin). Gone are the days of the old broadcast model, where you have a singular product that you try to tailor for mass appeal, so that as many people as possible will consume your product. We now live in an era of "just-in-time" narrowcasting. Take television. More and more people are forgoing basic cable packages and going for customized digital packages. Why get the traditional American networks (ABC, CBS, NBC, etc.) to watch baseball games, when you can just get the MLB Network? Why get one of the many movie channels (like First Choice) back in the day, when you can just get Netflix? This is the era that this generation is raised in. Essentially, why pay money for something I don't want. For example, I really want the Lando Calrissian objective set x2 (because who wouldn't... really.) but I don't want the Lobot one. Why am I paying for something I don't want? Secondly, why sell a core set that doesn't even meet the basic rules. It clearly states that there is a 10 objective set minimum to play "officially". Sure you don't NEED to do that, but when a game is sold I think there is a reasonable expectation on the consumer's part that they are getting a product that is ready to go, in an "official" capacity, right out of the box. Thirdly, the waste. I don't need two core set boxes. I don't want two core set boxes. Yes it's okay to have back-up Death Star dials etc., but imagine if we applied this philosophy to all our purchases? I think down the line, if face-to-face card games are to persist (and I think they will - the renaissance in board gaming has proven that there is a sustainable market out there... at least until this generation dies out) there needs to be an adoption of a more customer driven model. You want to get the Lando pod? Pony up the 5 bucks for the 2 sets, and away you go. And there is still ample opportunity for profit here. Not many people want to play the same deck over and over. Tired of Smugglers? Well buy a core Jedi set, and pay the 2.50 per pod to customize it. I know companies like Team Covenant are doing this, but it would be good if this sales model was the industry standard. All that said, great game, and super-happy the creative team at FFG have this license and are doing cool things with it. I have no problem whatsoever with how the FFGs do the Cores. I still need to pick up my second copies for Star Wars and Netrunner, but I am planning on doing so. This product is NOT a core. 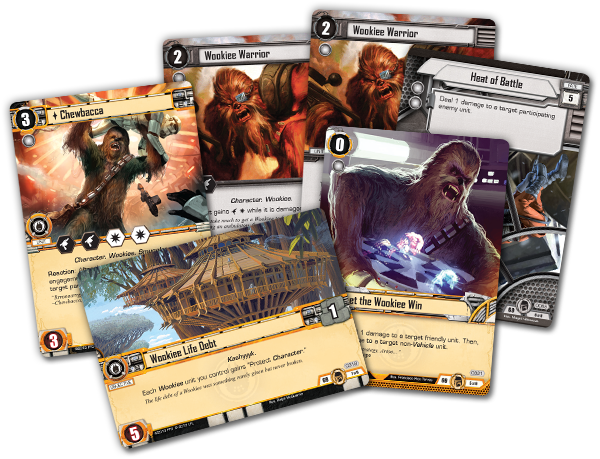 I am under the impression that FFG has made each expansion product for the past few years as playsets, not needing a multiple buy. That's what I was expecting and what I was telling other potential players. Yes, after some thinking, I realize this method is better for the game. Getting more objectives will quickly diversify the game. 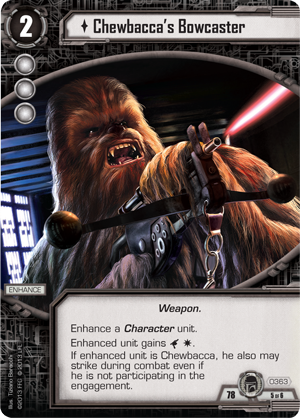 But I am not pleased with the prospect of purchasing 4 big box expansions now, if Balance of the Force has stuff usable for the standard game. Not to mention I'm nervous of what they may announce for Netrunner's big box expansion. Budget wise for me, it just means getting stuff slower. Most likely, putting off secondary purchases of the Falcon and Slave I for X-wing. 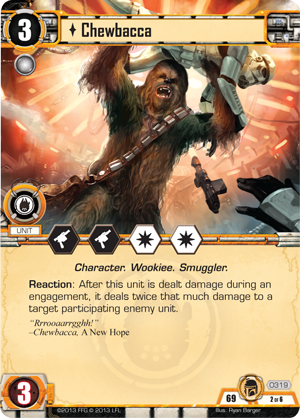 But I am not pleased with the prospect of purchasing 4 big box expansions now, if Balance of the Force has stuff usable for the standard game. Not to mention I'm nervous of what they may announce for Netrunner's big box expansion. Could be that after this one they will make deluxe expansions like the other games. But Balance of the Force I expect to be different from any previous ones as it is essentially another game so it's packaging is likely to be unique. Course at the same time Warhammer is getting its own multiplayer expansion and it is 3 of everything so I could be wrong. Yeah I think it is alittle early to think that the multiplayer box will also be 1x. Sure it is possible but we have no idea how multiplayer is going to work for this game, especially knowing it will be 2-3 on 1.
there needs to be an adoption of a more customer driven model. You want to get the Lando pod? Pony up the 5 bucks for the 2 sets, and away you go. And there is still ample opportunity for profit here. Not many people want to play the same deck over and over. Tired of Smugglers? Well buy a core Jedi set, and pay the 2.50 per pod to customize it. I know companies like Team Covenant are doing this, but it would be good if this sales model was the industry standard. From a customer standpoint this would be great, from a business (FFG and Brick and Mortar stores) standpoint this is a nightmare for what would be such a low profit item. Brick and mortar stores already complain about the number of different packs of cards for the LCGs (many players do also) and I couldn't see them wanting to deal with the headache of keeping up with over 100 different products just for this one game or dealing with the shelf space to display them. Also assuming they were willing to do that, how would they be able to predict what to order? They would quickly sell out of some packs and have others that sit there and wasted away collecting dust. Additionally if it was distributed this way buying them all would end up being more expensive than what we currently get. Sadly, the brick and mortar is a casualty of this model, unless they adapt into a hybrid type of gathering space for playing, as well as retail (as many do). In the consumer driven model, you would order direct from the producer. No need to predict demand, and no mark-up costs by the middleman. True, if you wanted to buy them all, under this model you would pay more. But I think collectors are in the minority for the target market, with gamers taking up the lion's share (though I could be wrong). Maybe what we have now is the best system, FFG keeps their model, Team Covenant et al get a slice by customizing sets into individual pods for retail. I would hate to see BaMs fall by the wayside, as I love to browse and they are a fantastic place to meet other gamers, however a customer driven model coupled with a rash of new gaming café's may make them obsolete. The other thing about a Just-in-time model is that it's hard to lose money on, because in many cases your production is based on pre-orders and direct demand. If a game is good, and a company's outreach for the game is good and shakes the bushes for sufficient uptake in the local gaming scenes, the demand will be there. You only produce what you know you are going to sell, so no waste on overproduction. Alternatively, keeping with the current model, in order to appease the more discretionary consumers, at the end of a cycle package the chapter packs into affiliations. For example, after the last chapter pack of the Hoth cycle drops, release all the Jedi objectives in one set. If you want 2 objectives, you buy two sets. This seems like it would hit the middle ground. Now I am not saying everybody is going to buy all the cards, but even if you wanted to be moderately competitive, you still need 2 core sets, and likely 2 copies of both expansions (presuming there are two released this year). And lets say you pick up a third of the chapter packs (x2) that's still a lot of cheddar (over $300). So the big question is, where does FFG make more of their profit? Off of the dedicated core, or the casual gamer who picks up one core box and plays it once or twice? At what point does the discerning consumer decide that the investment is too much? Someone who is dedicated to a faction has no use for roughly 60% of the cards, it would seem. That's a high number to swallow for many. Except, the Force Packs are playsets. They've confirmed it already. That, and a lot of the competitive players also like having complete sets. More options are always good. Moving on from the depressing topic of the expense, I am very excited for this set. 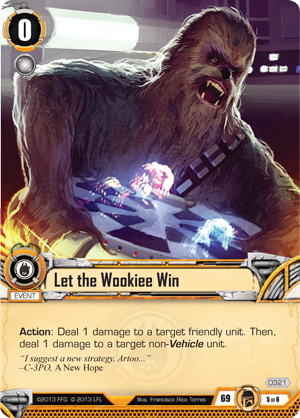 Wookiee Warrior and Let the Wookie Win is just a fun combo. Hope there's a Chewie that works well it Let the Wookiee Win as well. And the basic concept of what Bossk does is pretty cool. I am curious to see more of the "focus when played" mechanic. But without product to sell there is no reason for them to let you play the game there, not when they can instead encourage people to play games where they will actually make money. Really? I don't know. I don't consider myself a collector but I want playsets of every set because I want all deckbuilding options available to me. It is why I got into LCGs, if I wanted to just buy singles I'd just play Magic or a CCG, which have robust singles markets. It is also hard to make money on. Small print runs are extremely expensive in comparison to the large ones, it is why FFG reprints in large batches, it brings the cost of production down and increases their profit margins. If you are just printing to slightly over demand you are going to have to make smaller more frequent printings, paying for the product and shipping multiple times. Now perhaps eventually Print on Demand cards will be of the same quality stock and color to make it more feasible but currently I don't think it is of high enough quality to live up to FFGs standards. I don't know, this seems like the board gamer vs CCG gamer argument. People that are used to playing CCGs are used to spending much more than that to be competitive and they wouldn't have the large number of options that the LCG gives. I understand how a boardgamer might consider this expensive, but as a former CCG addict $500 would be close to what I would spend in about 3 months so any LCG is a drop in the bucket compared to that. Now I'm not saying that it wouldn't be possible to bring costs down but I think there is a fine line that FFG has to walk. People that are used to playing CCGs are used to spending much more than that to be competitive and they wouldn't have the large number of options that the LCG gives. Just cause a abused wife is used to it doesn't mean she wouldn't be better off with a new and nicer man. And LCGs are that new nicer man, but just because he is nice doesn't mean he needs to do whatever she wants. These gaming café's make their money on a cover charge and food and beverage sales (some may rent games as well). I'll save the rest of my comments for another thread, because I don't want to hijack this one any further. 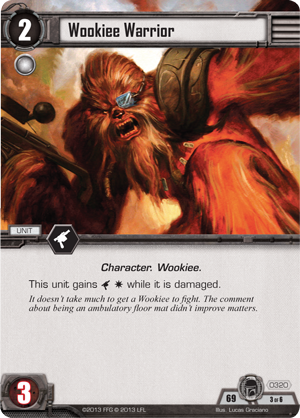 I am also really jazzed for this expansion and look forward to finally getting to play a scum and villainy deck. Kind of curious to see what a viable capture strategy looks like. Never heard of a board card game store like this, do you know of any of them that have a website? I've heard of ones where you rent a computer but never the physical type of game stuff and I'd like to see what they are like. there is a big stink in the fan base every time FFG do this and they could simply avoid it with a release that doesn't upset people as doing it as people have suggested would upset no one. The thing is: FFG only needs to care if the 'big stink' actually impacts their sales. Who knows, maybe the complaints of the vocal minority (or majority) even increase sales because the hot discussion attracts the attention of potential players that wouldn't have taken any notice of the new product. I suspect quite strongly that those complaining publicly buy the sets anyway, so the 'message' to FFG is non-existent. I'd like to repeat that I vastly prefer a single copy of 22 objectives over two copies of 11 objectives. It's what actually makes me consider to buy the extension rather than just stopping with the core set! Since I'll hardly be the only one thinking that way, it might actually have been a smart move, don't you think? Concur. There is always a choice. I am excited for new cards. Everyone needs to calm down. The first force pack isn't even out yet. I am thankful those come with x2 of each set. I think that a lot of you are over reacting. There is no set date as to when this exp will be released. I know I will be buying 2 exp sets. Competitive card gaming is pricey, if you think this is bad go get into magic or pokemon. As a new player in those games competitively your looking at hundreds of dollars to just get into those games. Some cards can sell for 30+ dollars. This is a very cheap game to play competitively be any means. Yeah, Wookiees will be fun. I like it. I am pretty pumped for Edge of Darkness to get here.